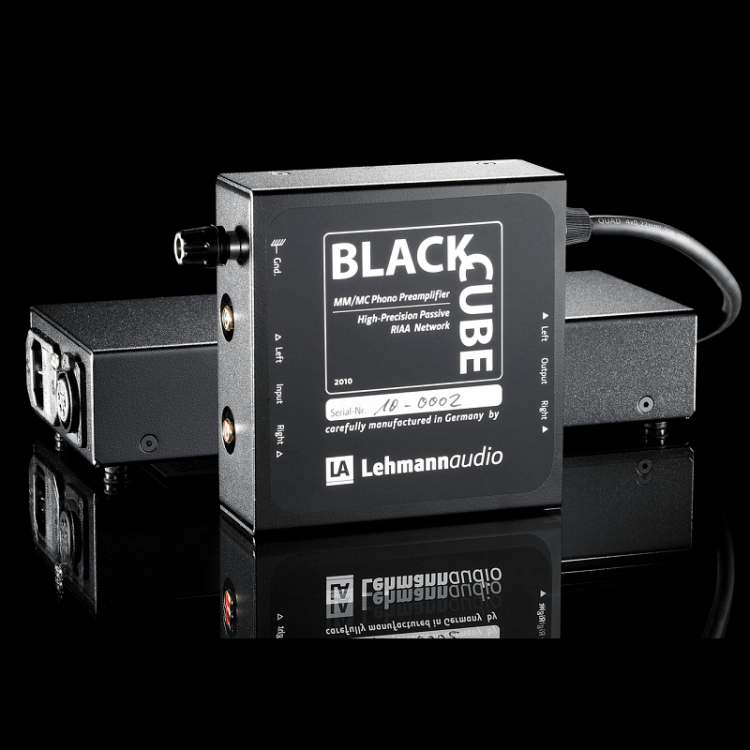 Our classic Black Cube, equipped with the extra potent PWX power supply – this is the Black Cube SE. That way it has even more power for an exceptionally complex, impressive and emotional reproduction of music. Just imagine you could get even more out of your favourite record: the Black Cube SE does it with far greater bass authority, very relaxed mids plus enhanced top-end sparkle and openness. The Black Cube SE belongs to the premier league of phono preamps. Of course, we use only components of ultimate quality for it. For a particularly low-noise reproduction we e.g. assemble input stages which other makers of professional studio electronics also build into their mixing consoles and microphone preamps. "The music gets a direction, notes are bowing to arcs of suspense. Whether you’re tapping your feet to the beat, fake the conductor or give free rein to your love of singing, […] – the ’big‘ new Black Cube is by all means a truly talented animator." 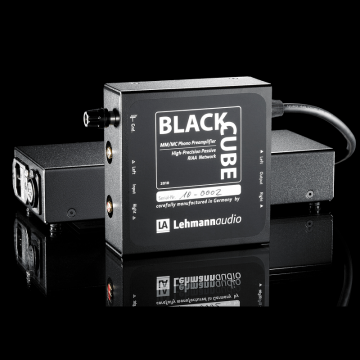 Owing to its 66 dB of maximum gain, virtually all common systems from high-output MM to MC may be connected to the Black Cube SE. We have included a free slot per channel for the solder-free fitting of a custom impedance, and there is also an extra hardwired plug-in location with immediate action. Should you wish some resistors to match your personal system to the Black Cube SE, we will enclose them with your order at no cost. The high-precision passive RIAA filter network sits between two linear gain stages and has been realised using high-grade, surge-proof and narrow tolerated polypropylene foil capacitors. That way transients, dynamics and timbres can reach the listener in a pure manner. The audio section contains additional modules for an efficient hum, HF and random voltage suppression. The use of a double-sided audio board also offers additional ground planes for a zero-interference operation. The potent external PWX power supply is equally compact in size like the audio section, so the Black Cube SE may be placed right next to your turntable drive, thus minimising potential losses due to cable lengths and leaving no chance for acoustic detriments. Neutrik XLR connectors with gold-plated pins provide the safe contact between audio section and PWX power supply, the connection cable between audio and power section is shielded. Furthermore, the two housings are made of a non-magnetic material (aluminium) and their top lids are mechanically dampened. The impressing technical details of the Black Cube SE. Bass filter: 50 Hz, 6 dB/oct.